This week was a very important week for many of us... And as much as I wish it was because it was my birthday or a fun filled holiday, instead I was writing out checks and meeting with my accountant. 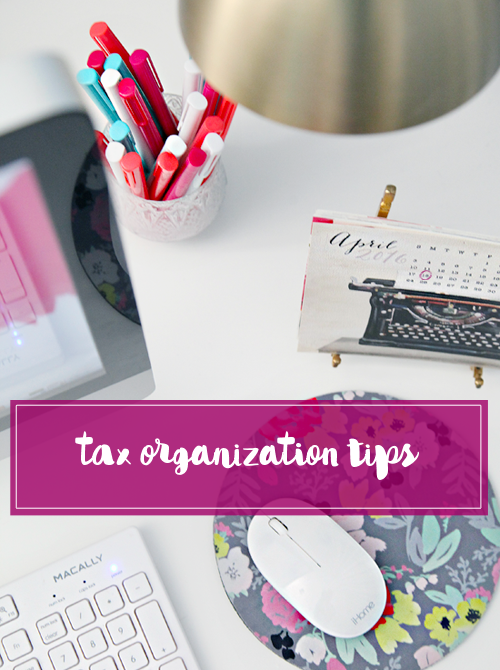 So while taxes are fresh on my mind, I thought I would share a few tips that have helped me streamline the process each year. Of course, I always have to start posts like this off with the necessary "I am not a financial expert" and "Always consult with your personal C.P.A." and "not all of these tips will apply to everyone". OK, now that we have gotten that boring stuff out of the way, let's dive in. Oh, who am I kidding? 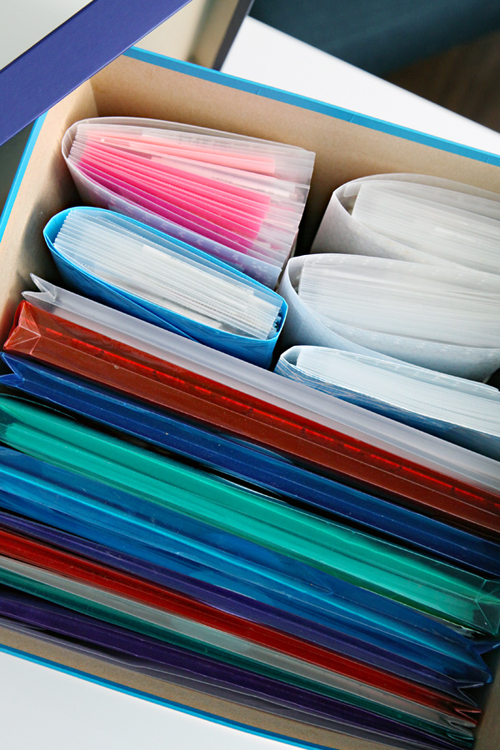 No matter how darling the file folders, tax organization isn't all that exciting. But it is a necessary evil, so hopefully a few of these quick tips will lend you a helping hand in managing a mundane task. Back in the day when I worked as an employee for a big business, I was brave enough to manage my taxes with my husband utilizing TurboTax. Since becoming a small business owner, we have hired a local C.P.A. to assist us at tax time. 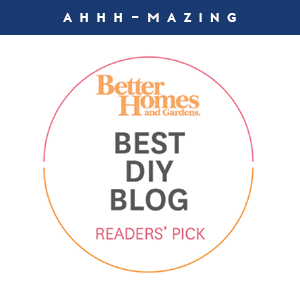 Suddenly we were looking at a more complex process; everything from paying for contracted help, managing daily expenses, utilizing a portion of our home as a home office for my business and accounting for self-employment tax. 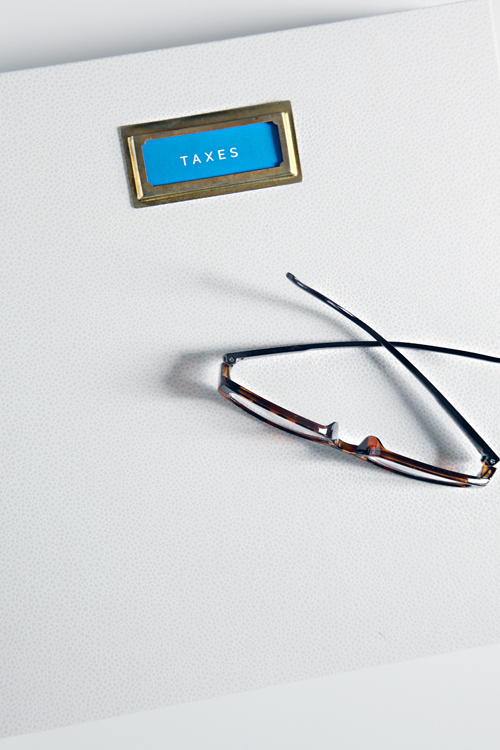 #oy There has been quite a bit to learn and I truly rely on my tax advisor during the filing process each year. So there's that, my first tip! When in doubt, hire it out! Next tip, keep everything at arm's reach all year long. 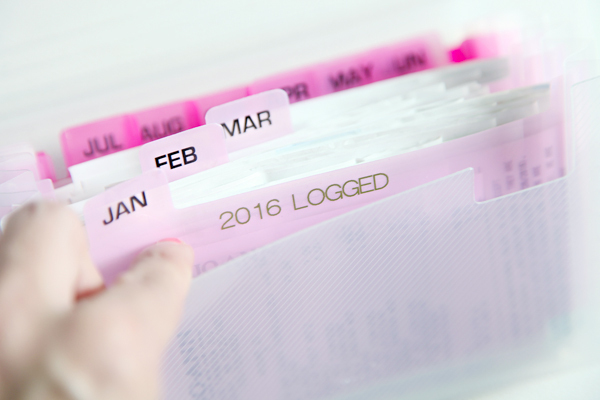 As obvious as it seems, the years that I kept tax folders and documents stored deep inside of my filing cabinet, were the years I was scrambling to get my details together at the last minute. Now, majority of the items I need for taxes throughout the year live on my computer, my phone, in a binder and in a couple of receipt pouches. That means everything I need resides on my desk or in my purse each and every day. 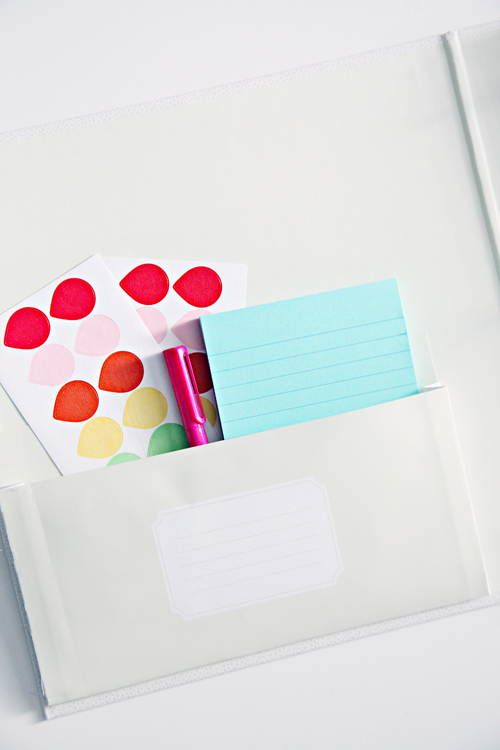 I love this old Martha Stewart binder because it is durable and darling, and sports a decent sized pocket in the front for my pen and a small sticky notepad. I also used some Martha Stewart binder tabs to create twelve labeled sections. I also prefer to jot down important expenses on a monthly coversheet. 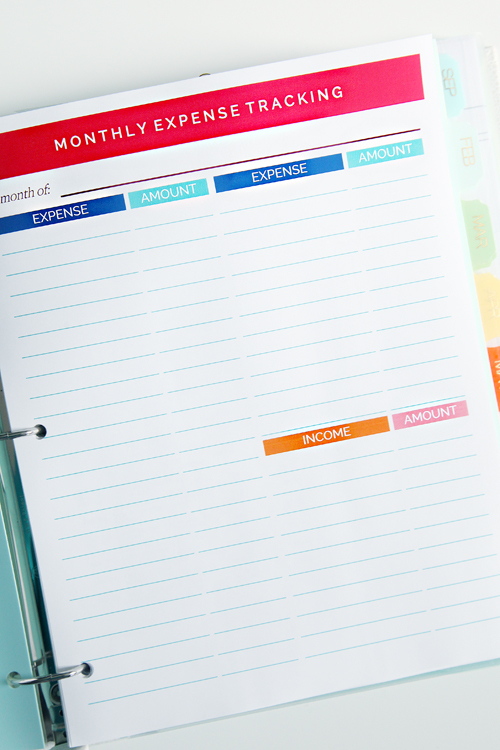 When I write down the expense and amount paid, it is my personal way of logging that completed expense (I don't write it in until the expense has been paid for that month). 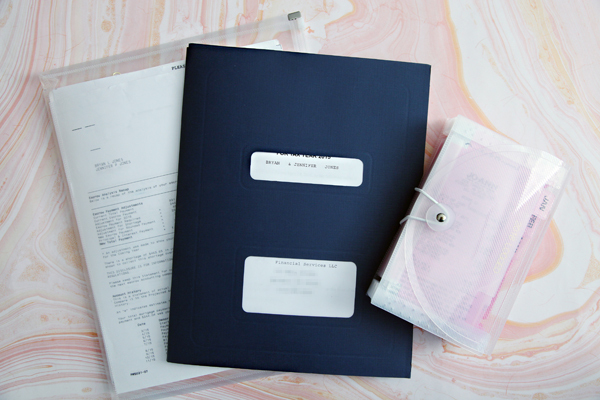 The items I include on the coversheet are our home expenses (insurance, utilities, etc...) as well as reoccurring business expenses such as document hosting and shop management fees. I also keep track of my income avenues for the month (with blogging and an etsy shop, income can come from various sources and at a variety of times), as well as other miscellaneous notes that help me recall business impacts/happenings. In a way, this is my personal financial diary. I don't put down every last expense, just the larger ones that made an impact to my monthly budget and ones I want to be sure I am accounting for come tax time. It is not a necessary business step, just one I personally prefer to spend a few minutes on each month to reduce any confusion as I look back at my entire year. 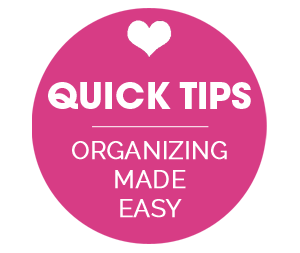 My next tip is to use a specific business account to manage monthly expenses and for purchasing items and supplies. 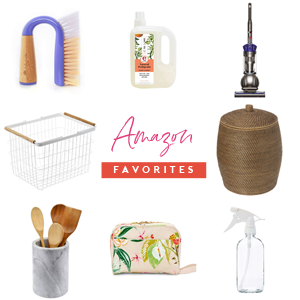 I generally try to pay for each specific business item with my personal business accounts (I have an account through my bank as well as through Paypal), but there are times when I purchase something for my business/home office while also purchasing something for personal use (and I forget to split it up while in the check-out lane). This generally happens while shopping for groceries or while picking up a few household items at Target, and can be a bit more confusing when it comes to logging/managing expenses at tax time. For this reason, I have begun carrying a small pouch in my handbag that contains a pen, some small page flags and a highlighter. When I am out and about shopping, I mark the receipt and document the business purpose/need behind any business related purchases. Again, this reduces confusion when going through receipts and business deductions at the end of each year. 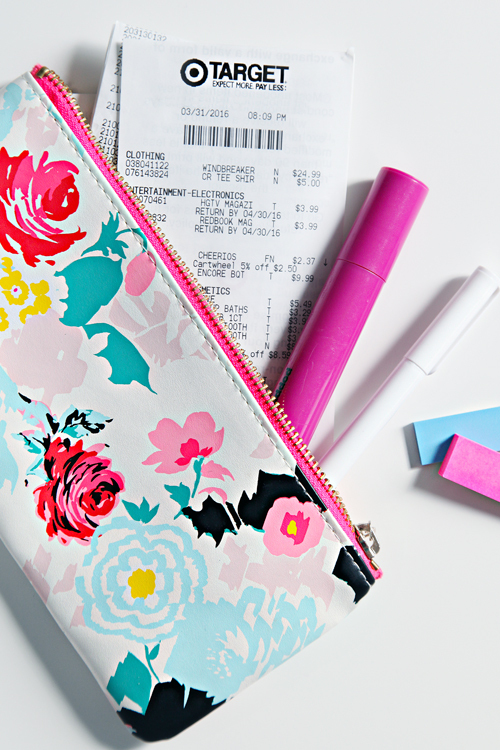 I keep the receipts in this pouch until they are ready to be logged in my expense tracking program. I selected a pouch small enough to take with me everywhere, as I don't always know when a business expense may pop up (tassel clutch purchased from Target). I have mentioned it here a few times, but I prefer to utilize Expensify to track and manage my monthly business expenses. 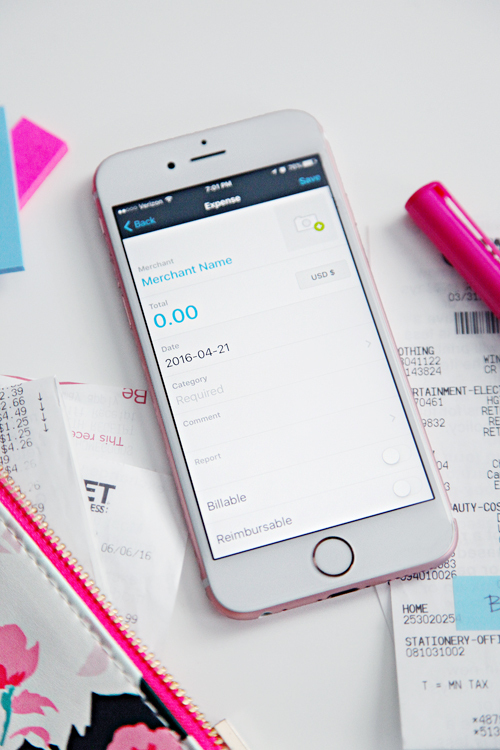 Expensify can be accessed through an app on my phone and also online. I like that I can quickly add specific business expenses right as they occur (examples include business travel or purchasing a specific supply), or I can take a week's worth of receipts from my pouch and quickly add them in online during my weekly reconciliation. Expensify also allows me to assign a category to each and every expense I input, as well as add specific notes and comments. I have the freedom to determine these specific categories, and then I can run reports that will total these categories for me. It even allows me to split a receipt into multiple categories, as I may purchase a supply for a project as well as an office related supply at the same time and location. Not only is this helpful to see my specific business expenses as a glance, from a tax perspective it allows me to categorize the different expenses that can be fully deducted vs. partially deducted. Once the receipts are logged in Expensify, they are marked with a highlighter and removed from my daily pouch to be filed away in an expanding receipt folder, which is labeled by month. Throughout the course of the year we also receive 1099's, W2's, H.S.A. statements, mortgage statements, retirement contribution statements, etc... I file those in a document pouch in the back of the binder. I also use the pouches to hold the carbon copies of my business checkbook, my quarterly federal and state tax vouchers, envelopes and stamps. Now, let's chat about the digital side of all of this. At the end of the year, I print off my annual business expense report from Expensify, and hand the contents of this binder over to my accountant. But can we all agree that it is important to back-up your paper files? On my external hard drive, I have a folder for my annual tax/business details, organized by year. Inside each annual folder, I have sub-folders for Bank Statements, Invoices/Receipts, Monthly Expense Reports and Paypal Statements. Some of these items can be saved as a PDF right from banking websites and online businesses, while others are scanned in with my document scanner. At this time, I don't scan in every last paper receipt, just anything that is too large to file in the receipt folder or receipts for anything not purchased at a store (hotel receipts, receipts for specific professional services, etc...). There are also times when I am emailed my receipts for online purchases and business transactions. Instead of PDF'ing or printing each of these, I keep these tagged/labeled in specific folders in my inbox. 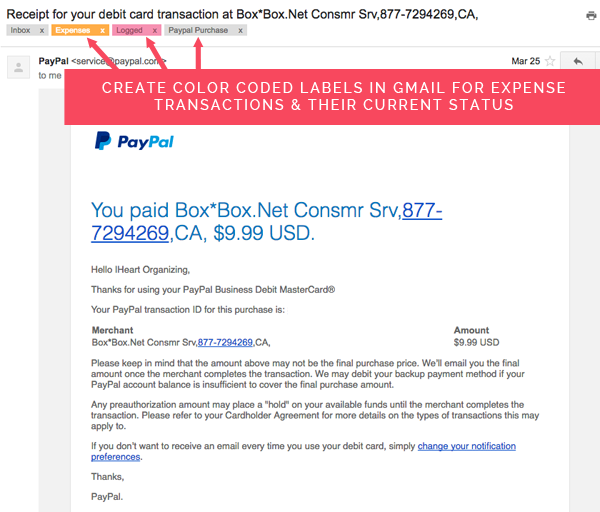 I have created color coded email labels titled "Expenses" and "Logged". When I receive the expense receipt, I quickly label it as such in my email. I may not always be in a position to log and categorize the expense in Expensify, therefore I check the "Expenses" folder each week during my reconciling process, then marking the expense as "Logged" as they are recorded. There are two steps to my reconciliation process. Step one is to take a few minutes every week or two to log all of my business receipts and online expenses into Expensify. Step two is to run a monthly report and compare it to my monthly bank and Paypal statements, to be sure all expenses are accounted for. To be sure I stay on top of these tasks (which are much quicker when done monthly vs. annually), I scheduled time and set up notifications in my Gmail calendar. 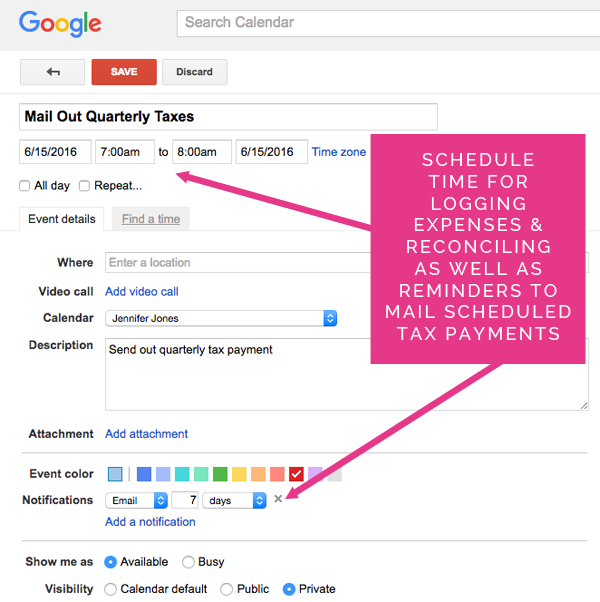 I also added in reminders to mail out my quarterly state and federal tax payments. 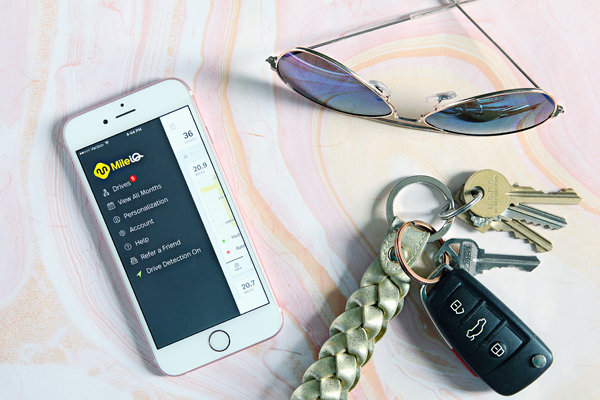 Once a trip is complete, it will allow me to classify it as personal or business (even drilling down to more specific categories), and will also allow me to assign the miles to a specific vehicle. Another bonus, this app can be accessed on my smartphone or online. 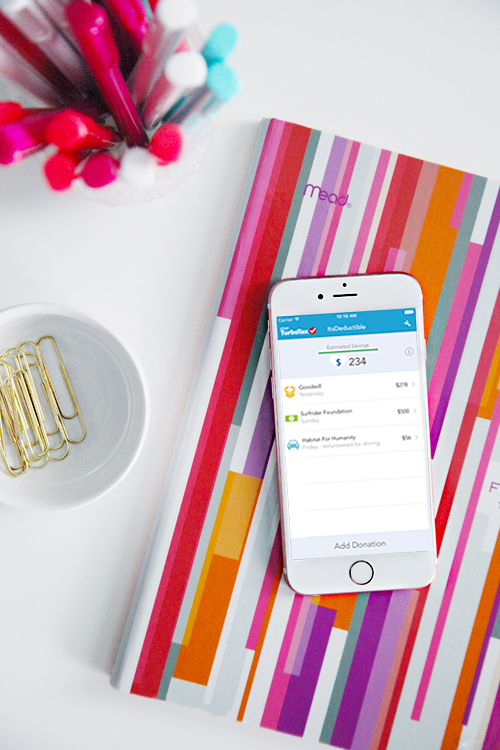 And finally, to track our charitable donations, I now utilize the TurboTax ItsDeductable app. This app can also be accessed from either my phone or computer, and is a quick way to itemize any items being donated to local charities. It keeps track of specific charity locations, and helps to determine specific item values based on condition. 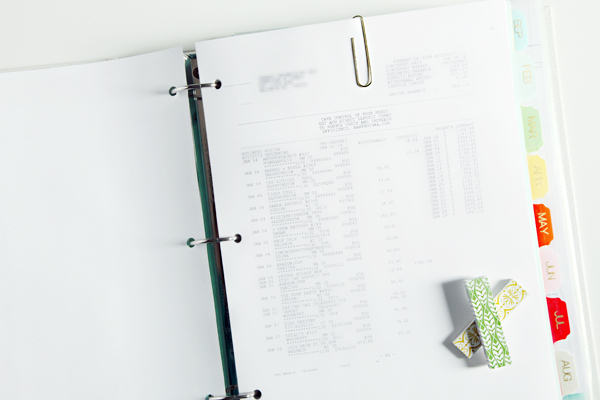 At the end of the year, a PDF statement can be saved and printed, detailing your annual charitable contributions. I also recommend photographing donation drop-off items to include with your receipts as additional proof. Each year I hand all of these records and details over to my accountant. Some of this may seem a bit much, but I find this system to be a good way for me to stay on top of my business budget each month, and it makes my accountant's job much easier come tax time (which means a smaller bill for me). He always packages everything up nice and neat for me, and then I file it away in a plastic pouch with the remainder of the paper documents I decide are worth keeping in case of an audit. As I mentioned, this is not the most glamorous organizing task I have taken on or shared, but after a few years of last minute stressing and data entering, this system has evolved into something fairly simple to maintain and hopefully some of these tips will save you a little sanity (especially for any of you fellow small business owners that are reading). Writing out a check for taxes is painful enough, the rest of the process shouldn't cause quarterly headaches. 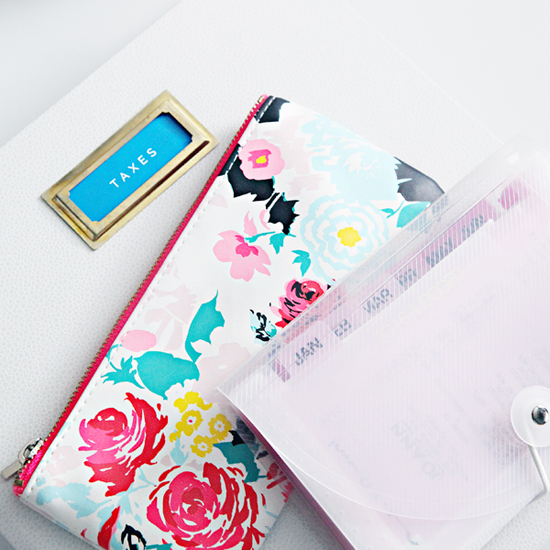 Thanks to some phone apps, scanners, cute binders and pouches, I almost look forward to managing my budget each month. Hey now, I said almost. Thank you for such a great and interesting post on an inherently boring topic! Between my husband and myself, we operate a his business, my home-based business, operate a cattle ranch, and he works for a local business part of the year. Having a Pro do our taxes is worth every penny, but we hate to go to her unorganized. 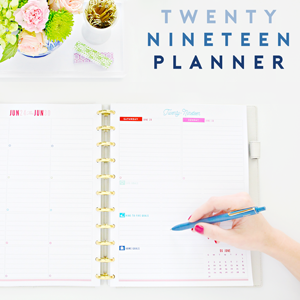 I got some great tips for keeping track throughout the year, so its not so painful and overwhelming a process in March. And I always forget about what I've donated! 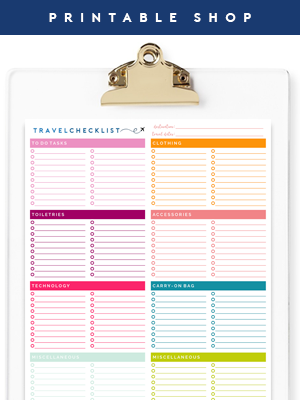 What a great way to keep track!! That makes me so happy to hear, thanks so much Erin! Wow. That is detailed. 2015 was the last year of my two small businesses. When we started our LLP in 2012, I instantly hired an accountant. I did not want to touch those taxes and mine. 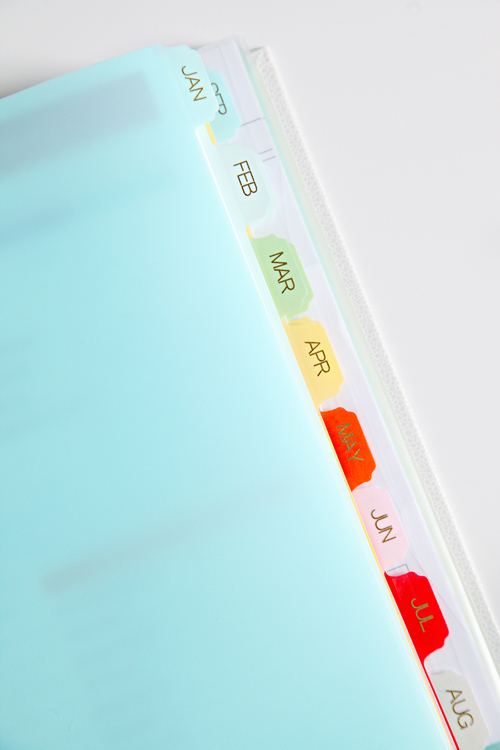 Hiring it out is great, but you really have to stay organized. Thank you thank you thank you!!!!!! I run a home daycare and am so grateful for these great tips. Thanks for taking the time to write this with such detail. I need to re-read now. Hi Jen. 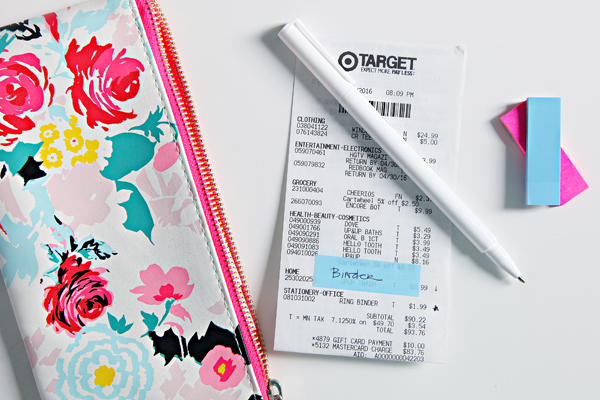 Fantastic post :D. Just one question about coated receipts such as one's from Target and similar. Do you find they fade over time? Especially if they are highlighted? I personally find I need to scan mine straight away or else they can fade even kept tucked away. I like using a scanning app on my phone for the size of the document and the convenience of getting it done then and there. I have noticed that if a receipt is exposed to sun or water, it can fade. I only highlight a small mark on the bottom for personal reference that the receipt was logged (I don't highlight over the font on the receipt). 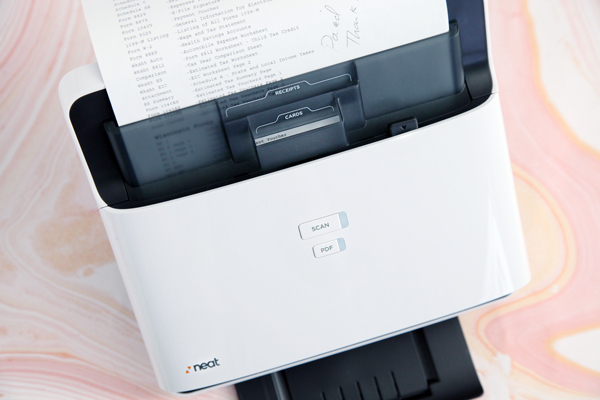 It's definitely a good idea to scan right away if you are concerned about fading. I showed this to my CPA husband, who has done tax work for 15 years, and he agrees that your post and process is the most thorough ever. You really are an organizing genius. Awesome tips! Have you tried TaxBot for expense and mileage tracking? I just started using it and wished I knew about it since I started my small business last year! No scanning. Just snap a photo, label and store. Still compiling to see how to run a report. Any opinions on that app? I have not personally tried it, however, it sounds very similar to Expensify. Expensify also allows you to track mileage (just a slightly more manual process than MileagIQ), and you can either photograph or scan and upload receipts as well. You will have to stop by again and let us know what you think of TaxBot, sounds fantastic! A very very helpful post! My parents just recently had to do their taxes and I think this will definitely help them prepare for the next time! Thank you so much for this! 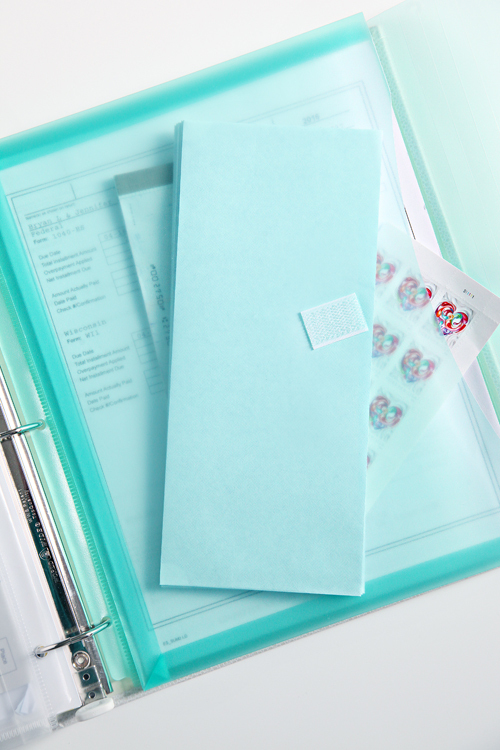 I need to be better about keeping my tax documents organized and the binder was such a good idea! Thank you so much for this! I just finished the taxes for the first year of my Etsy shop and quickly realized that I need to be more organized for next year! I'm downloading the mileage app and Expensify today. Wow, I'm incredibly impressed with how organized you are! Great tips too - thanks! This is SOOOO helpful Jen! Thanks for sharing your systems. You've given me some great ideas! 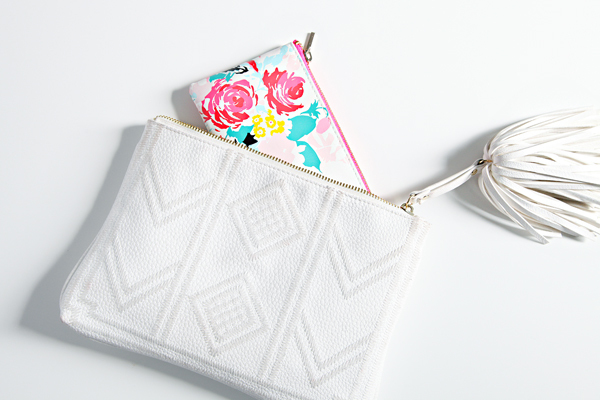 I love that flowered pouch! I don't like keeping so much paper, so I download bills and statements and "file" them in my computer. 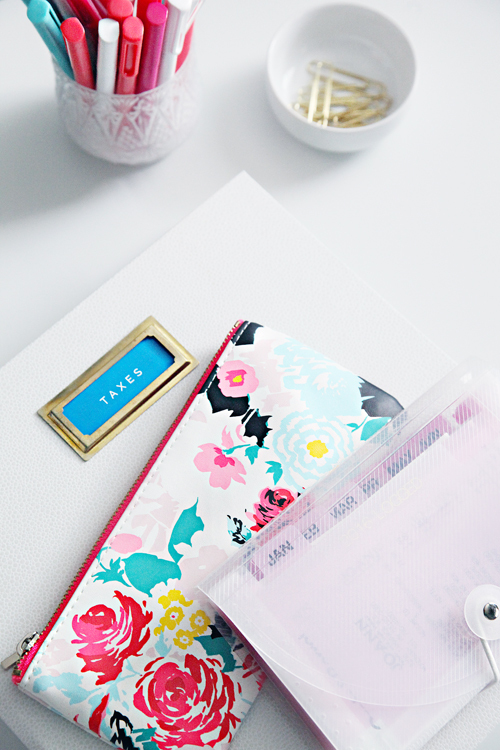 I try to make things as simple as possible, using a spreadsheet to track income and expenses. It has worked well for the 10 years I've used it for my business. I always say you should do what works for you and if that means logging and filing documents, stick with it. Whatever system you create, though, don't make it so complicated that you spend more time on accounting than you do on the rest of your business.